Your cars windscreen is built tough and can withstand some substantial knocks. However if hit in the right (or should we say wrong) spot, serious damage can be caused. A badly cracked windshield can block your vision which can easily lead to a serious or fatal accident. For this reason your vehicle will not pass a road safety test if you have a badly damaged windscreen. If your windscreen has become defective or broken beyond repair we can replace it for you. Our auto glass technicians are all fully qualified and experienced. Rest assured our work is fully guaranteed. Simply contact us and our mobile windscreen replacement service will come to you. We can meet you at your home or workplace, in fact anywhere in Sydney. Allow us to replace your windscreen so you can get back on the road and return to your busy schedule. 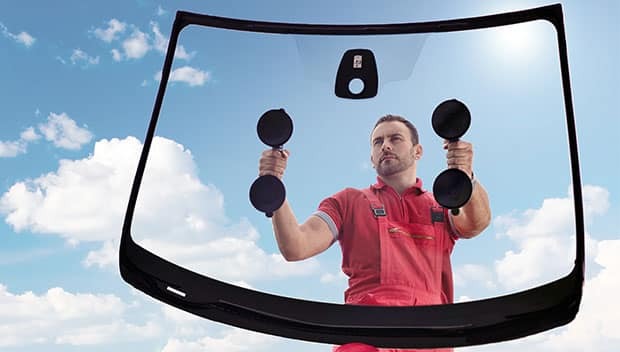 For minor damages to your windscreen we can often avoid a full replacement with a cheaper and quicker repair. Even the smallest windscreen chip or crack can be devastating if left untreated. Fortunately we provide car windscreen repair for all chips, cracks and other glass damage. And we don’t stop there. We can repair and replace all auto glass for cars and other vehicles. The front windscreen is commonly damaged due to impacts from a stone or other sharp objects while driving. However the rear windscreen or side windows are also easily damaged by vandals or from a simple accident. If you have recently discovered a damaged glass panel on your vehicle act quickly. If you leave a damaged windscreen or car window untreated, small cracks can quickly expand. This poses a huge safety issue, especially if your windscreen cracks out when you are traveling at high speed. Contact us as soon as you notice a crack or chip in your windshield for a quick and reasonably priced windscreen repair. The longer you leave a crack untreated the greater the chance that it will grow in size. Act fast. Request our windscreen repair service before its too late. If left for too long, windscreen replacement is your only option. We make getting your windscreen replaced easy. Our team of mobile glass technicians come to your vehicles location anywhere in Sydney. Then we complete all work on site for your convenience. When you contact us, we will confirm your car make, model and year of manufacture. This allows us to ensure we have all the necessary glass and equipment. Our mobile service vans stock many replacement windscreens and auto glass to suit majority of vehicles. For anything not in stock we have lighting fast turn around times on new orders. With our mobile windscreen replacement service we come to you. There is absolutely no need to drive your damaged car or get it towed anywhere. Damaged Windscreen or Auto Glass? Contact us for a free quote and request an auto glass repair. Most of the time we will have you back on the road safely anywhere between 20mins to a couple of hours depending on the job required. Give us a call now or use our simple quote form.